San Francisco—Chief Justice Tani G. Cantil-Sakauye today announced the appointment of ten Judicial Council members, including seven new members and three reappointments. All the appointments, except for one voting position, are effective September 15, 2012. 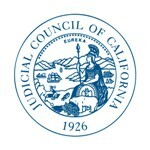 Chaired by the Chief Justice, the Judicial Council is the administrative policy-making body of state courts. The new voting members are Judge James R. Brandlin, Superior Court of Los Angeles County; Presiding Judge Sherrill A. Ellsworth, Superior Court of Riverside County; Presiding Judge David Rosenberg, Superior Court of Yolo County, and Judge David De Alba, Superior Court of Sacramento County. Judges Rosenberg and De Alba now serve as advisory members. New advisory members are Presiding Judge Laurie M. Earl, Superior Court of Sacramento County; Judge Morris D. Jacobson, Superior Court of Alameda County; Presiding Judge Brian L. McCabe, Superior Court of Merced County; Ms. Mary Beth Todd, Court Executive Officer, Superior Court of Sutter County; Judge Charles D. Wachob, Superior Court of Placer County; and Judge Kenneth K. So, Superior Court of San Diego County. Judge So, a current voting member, has been reappointed to a one-year term as an advisory member. Created by the state Constitution, the Judicial Council consists of the Chief Justice, as chair, of 14 judicial members appointed by the Chief Justice, 4 attorney members appointed by the State Bar Board of Governors, 1 member from each house of the Legislature, and 9 advisory members. The Administrative Director of the Courts serves as secretary to the council. Judge James R. Brandlin, of the Superior Court of Los Angeles County, was appointed to the municipal court bench in 1993 and was elevated to the superior court in 1997. He has served as the Assistant Supervising Judge of the superior court’s Southwest District (2007), as the Site Managing Judge of the Airport Courthouse (2001–2005), and as the Assistant Presiding Judge of the South Bay Municipal Court (1996, 1997). He also served as a pro tem Associate Justice for the Court of Appeal, Second Appellate District, Division Two (1995, 1996–1997). Judge Brandlin received the Judge William E. McFaden Award from the South Bay Bar Association (2012) and the Judge of the Year Award from the Los Angeles County Bar Association's Criminal Justice Section (2008). He is a former member of the Judicial Council’s Criminal Law Advisory Committee and is a current member of its Court Emergency Response and Security Task Force. He also serves as an instructor for the Administrative Office of the Courts’ Education Division/Center for Judicial Education and Research (CJER). A nationally recognized expert in judicial and court security and privacy protection, Judge Brandlin regularly teaches security and privacy protection classes across the country and has served on a number of security-related task forces. He has authored and sponsored several bills on judicial security and privacy protection. Judge Brandlin is appointed to a voting position on the Judicial Council for a three-year term which begins on September 15, 2012. Judge David De Alba, of the Superior Court of Sacramento County, was appointed to the bench in 2001, after serving for 22 years in the state Department of Justice. As a deputy attorney general and later as a special assistant attorney general, Judge De Alba specialized in criminal appeals, tort-related complex litigation, and law enforcement policy. During that time, he also served on assignment as an acting deputy district attorney in Sacramento County. He has 13 years of teaching experience as a college instructor and adjunct professor of law. Judge De Alba has served on the Judicial Council’s Criminal Law Advisory Committee and the Criminal Law Education Committee of the AOC Education Division/CJER. He was a member of the special team of assigned judges that helped reduce the criminal case backlog in Riverside County. His experience on the council includes membership on the Rules and Projects Committee and the Court Case Management System Internal Committee. In September 2011, Judge De Alba was appointed to a non-voting Judicial Council position for a two-year term. Effective June 1, 2012, he is reappointed to a voting position for a three-year term. He fills a vacancy created by the early resignation of another voting member. Presiding Judge Laurie M. Earl, of the Superior Court of Sacramento County, served as the court’s assistant presiding judge for a two-year term starting in 2010, and was elected presiding judge starting January 1, 2012. Judge Earl began her legal career in 1989 as an assistant public defender in Sacramento County and in 1995 joined the Sacramento County District Attorney’s Office as a deputy district attorney. During her career as a prosecutor, Judge Earl worked in a number of divisions, including domestic violence, sexual assault, and homicide. In 2004, Governor Arnold Schwarzenegger appointed her the senior assistant inspector general for California. Assigned to the newly created Bureau of Independent Review, Judge Earl was the Northern California regional supervisor in charge of the independent review of internal affairs investigations at the California Department of Corrections and Rehabilitation. Judge Earl’s alma mater, Lincoln Law School of Sacramento, honored her as Alumnus of the Year this year and in 2005. The Capitol City Trial Lawyers Association named her Judge of the Year in 2010. Judge Earl is a member of the Judicial Council’s Trial Court Presiding Judges Advisory Committee and that group’s Executive Committee, as well as the Trial Court Presiding Judges/Court Executives Advisory Committees’ Joint Rules Working Group. She chairs the Trial Court Presiding Judges Advisory Committee’s working group on court reconciliation and is a member of the Trial Court Budget Working Group. Presiding Judge Earl is appointed as the incoming chair of the Trial Court Presiding Judges Advisory Committee and as a non-voting position on the Judicial Council for a one-year term effective September 15, 2012. Presiding Judge Sherrill A. Ellsworth, of the Superior Court of Riverside County, began serving as a court commissioner in 1996 and was appointed to the bench in 2005. In 1999, she was named the American Business Women’s Association Woman of the Year for Judicial Leadership. Judge Ellsworth was appointed vice-chair of the California Court Case Management System Justice Partner Advisory Committee in 2010. She is a current member of the Strategic Evaluation Committee appointed by the Chief Justice and of the council’s Trial Court Budget Working Group, Trial Court Presiding Judges Advisory Committee, Family and Juvenile Law Advisory Committee, and Task Force on Self-Represented Litigants. Judge Ellsworth is appointed to a voting position on the Judicial Council for a three-year term which begins on September 15, 2012. Judge Morris D. Jacobson, of the Superior Court of Alameda County, was appointed to the bench in 2005. Before serving on the court, Judge Jacobson served as a deputy district attorney for Alameda County, deputy attorney general for the California Department of Justice, and a contract attorney for a local law firm. He has been an adjunct professor for Hastings College of the Law in San Francisco since 1994. Judge Jacobson is a current member of the Judicial Council’s Criminal Law Advisory Committee and the CJER Criminal Law Curriculum Committee. He has been heavily involved in efforts related to criminal justice realignment. Judge Jacobson is appointed to a non-voting position on the Judicial Council for a three-year term which begins on September 15, 2012. Presiding Judge Brian L. McCabe, of the Superior Court of Merced County, was appointed to the superior court in 2004. Before joining the bench, he was sole proprietor/owner of the Law Office of Brian L. McCabe. Before that, he was managing partner at Allen, Polgar, Proietti & Fagalde in Merced and an associate of Kahn, Soares & Conway in Hanford. Judge McCabe is a current member of the Judicial Council’s Trial Court Presiding Judges Advisory Committee, Civil and Small Claims Advisory Committee, and vice-chair of the Strategic Evaluation Committee. He is also a recent member of the Judicial Council’s California Court Case Management System Operational Advisory Committee. Presiding Judge McCabe is appointed to a non-voting position on the Judicial Council for a three-year term effective September 15, 2012. Ms. Mary Beth Todd, Court Executive Officer, Superior Court of Sutter County, has served as the CEO of the superior court since August 201l. In that position, she oversees the court’s non-judicial operations, including personnel and fiscal management, court operations, caseflow management, strategic planning, technology management, and facilities planning. She also serves as the clerk of the court and jury commissioner. Before her service in Sutter County, Ms. Todd was the Court Executive Officer of the Superior Court of Calaveras County (2000–2011); Court Executive Officer for the Superior Court of Amador County (1994–2000); Court Clerk/Supervising Court Clerk for the Superior Court of Calaveras County (1988–1994); and Deputy Court Clerk for the Nevada/Grass Valley Judicial District Court (1985–1988). Ms. Todd is a current member of the Judicial Council’s Court Executives Advisory Committee, and cochairs the Trial Court Presiding Judges/Court Executives Advisory Committees’ Joint Rules Working Group. She is also a former member of the council’s Trial Court Budget Working Group. Ms. Todd is appointed to a non-voting position on the Judicial Council for a three-year term effective September 15, 2012. Presiding Judge David Rosenberg, of the Superior Court of Yolo County, served on the senior staff of two governors and was a county supervisor, a mayor, a city council member, and a civil litigator for 19 years before his appointment to the bench in 2003. In addition to serving his third consecutive term as presiding judge of the Yolo trial court, Judge Rosenberg carries a full felony trial calendar. An advisory member of the Judicial Council, he chairs the Trial Court Presiding Judges Advisory Committee and is a member of the Executive and Planning Committee. Judge Rosenberg co-chairs the Trial Court Budget Working Group and serves on the Joint Legislation Working Group of the Presiding Judges and Court Executives Advisory Committees, and the Judicial Recruitment and Retention Working Group. He is a former member of the Civil Law and Small Claims Advisory Committee and the CJER Criminal Law Education Committee, as well as a former faculty member of the California Judicial College. He is a member of the California Judges Association and the Alliance of California Judges, and chairs CJA’s Legislative Committee, having served as a member of that committee since 2005. Presiding Judge Rosenberg was appointed to the Judicial Council on September 15, 2011, as chair of the Trial Court Presiding Judges Advisory Committee. He is reappointed to a voting position on the council for a three-year term effective September 15, 2012. Judge Kenneth K. So, of the Superior Court of San Diego County, began his judicial career as a San Diego Municipal Court judge in 1994 and was elevated to the superior court four years later. He served as the court’s Presiding Judge (2007–2009), Assistant Presiding Judge (2006–2007), supervising criminal judge (1999–2001), as presiding judge and member of the court’s appellate division (2002–2005), and as a member of the court’s executive committee (1999–2001, 2003–2011). Before joining the bench, he prosecuted criminal cases for the San Diego City Attorney’s Office and was chief deputy city attorney for the Legislative and Public Affairs Division of the City Attorney’s Office from 1991 to 1994. Judge So previously served as chair of the council’s Trial Court Presiding Judges Advisory Committee. He is currently a member of the council’s Executive and Planning Committee. In September 2009, Judge So was appointed to a voting position on the Judicial Council for a three-year term. He is reappointed to a non-voting position for a one-year term effective September 15, 2012. Judge Charles D. Wachob, of the Superior Court of Placer County, has served as assistant presiding judge of the superior court since 2009. Appointed to the bench in 2005, he was selected as the 2010 Judge of the Year by the Sacramento Chapter of the American Board of Trial Advocates (ABOTA). Before his judicial appointment, Judge Wachob was a partner in the law firm of Leupp Wachob & Woodall; City Attorney for the City of Auburn; counsel to the Placer County Civil Service Commission; and was certified as a specialist in civil trial advocacy by the National Board of Trial Advocates. In April 2011, the Chief Justice appointed him to the Strategic Evaluation Committee (SEC). In January 2012 the Chief Justice appointed him to serve as chair of the SEC upon the resignation of Justice Arthur Scotland. He also is a former member of the council’s Advisory Committee on Civil Jury Instructions. Judge Wachob is appointed to a non-voting position on the Judicial Council for a three-year term effective September 15, 2012.